2. How can i figure out the dimensions? 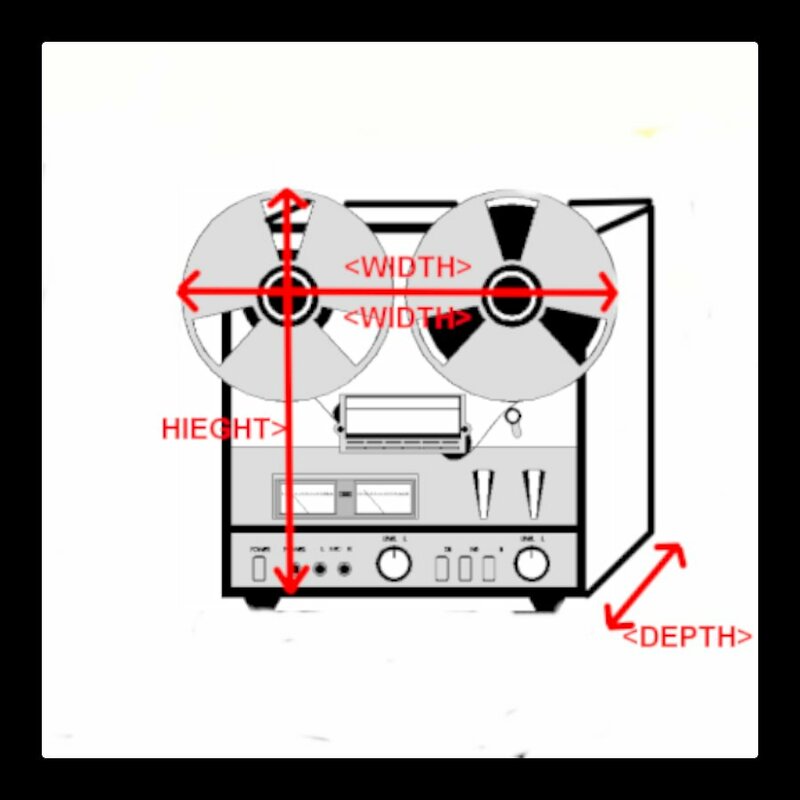 Ans.- Measure the height from the bottom feet to the top of the reels. Or top of unit if you do not want the reels to stay on under the cover. Now measure the side if the unit not including the back feet but up to the reel hub. Then meaure from the far left of the unit either from the edge of the reels to the edge of the other reel. Or side to side if unit. All depends on if you want the reels to stay on under cover. 4. How long will it take to make my cover? Ans.- About 14 days all covers are hand sewn by me. Plus priority mail shipping time 3 days. 2.If you want the cover to be made to fit over the reels.? 3.If you do what size are the reels 7" or 10"? 4. Do you have REVOX hubs? 5. Most important the dimensions! Please refer to diagram above.